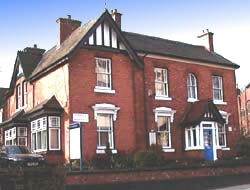 Welcome to Holly Cottage Chiropractic Clinic! If you are new to our website, please feel free to discover and learn about chiropractic. If you are interested in starting your journey towards a healthier spine please subscribe to our award winning newsletter. If you are already a newsletter subscriber, please explore the member section of our website for chiropractic articles, resources, and health facts---specifically chosen by Ashley Burn and Trine Hansen for your chiropractic needs and interests. "FOR MONTHS I HAD BEEN SUFFERING FROM LOW BACK AND GROIN PAIN. IT WAS AFFECTING BOTH MY WORK AND SPORTING ACTIVITIES. THE TEAM AT HOLLY COTTAGE TOOK THE TIME TO FIND THE CAUSE OF THE PROBLEM AND SINCE UNDERGOING CARE I HAVE BEEN BACK TO MY NORMAL SELF, PLAYING FOOTBALL ON A REGULAR BASIS. THANK YOU FOR HELPING ME OUT OF TROUBLE!"